Share a Nomi Owl today to give to mental health tomorrow. This logo, designed and made by Maegan Jong, is green to represent mental health. The vine and leaves signify growth. Nomi Bobi hopes to grow the awareness of mental illnesses through our Nomi Owls. 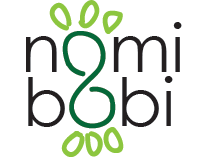 Founded in July of 2016, Nomi Bobi is a 501(c)(3) non-profit organization that is dedicated to make a difference. Unknown to many, mental illness is in fact "more common than cancer, diabetes, or heart disease"*. One in every five American has a mental illness. Faced with this issue, Nomi Bobi is inspired to do whatever it can to help. Based on the simple idea of giving, all proceeds made by Nomi Bobi are donated to mental health organizations. Representing wisdom, Nomi Owls are perfect symbols to support the cause. ​Handmade with the finest quality, Nomi Owls are revolutionary themselves. Nomi Bobi is committed to making Nomi Owls from the heart and never taking the shortcut. Every owl sewn benefits the artists who hand-stitched it with care and love. Join our movement today to advocate, care, and support. *NAMI Massachusetts. "What is Mental Illness?" National Alliance On Mental Illness of Massachusetts.